When Steven Brill’s Time Magazine article, “Bitter Pill: Why Medical Bills are Killing Us,” was published in February of this year, it struck a chord that is still reverberating. On October 28, Universal Health Care Foundation, along with our parent organization, CHART, is holding a forum, “Drowning in Health Care Costs: All Hands on Deck” that will feature Brill as well as Patrick Charmel, CEO of Griffin Hospital and State Comptroller Kevin Lembo. The forum will be held at Quinnipiac University’s Center for Medicine, Nursing and Health Sciences on their North Haven campus. 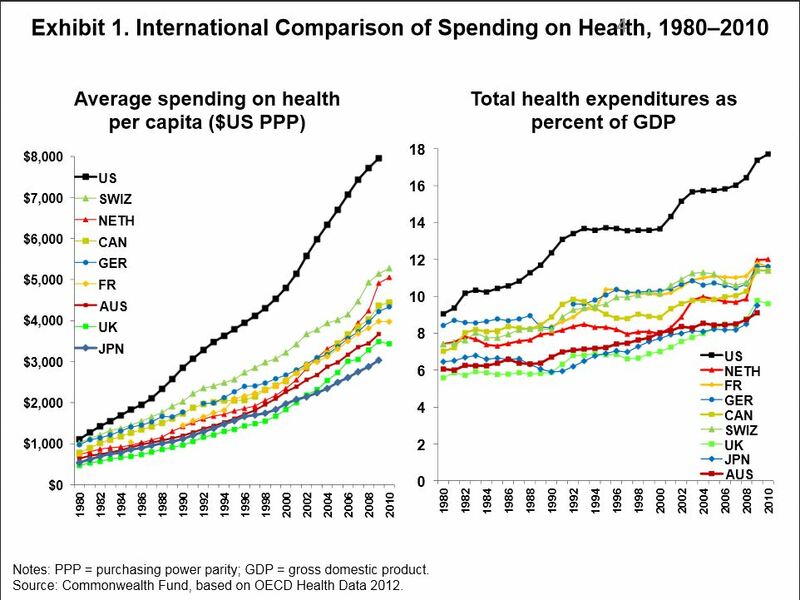 This first set of graphs compares United States Health Care Spending to that of other industrialized countries. They clearly show that we spend way more per person and as a percentage of GDP. But what is even more noteworthy is the steep climb of U.S. health care spending depicted in the graphs as well as the growing gap between the U.S. and other countries. In 1980, our health care spending was somewhat higher, but now it is MUCH higher. That is the macro view of the problem. But how does this affect ordinary people in our country? 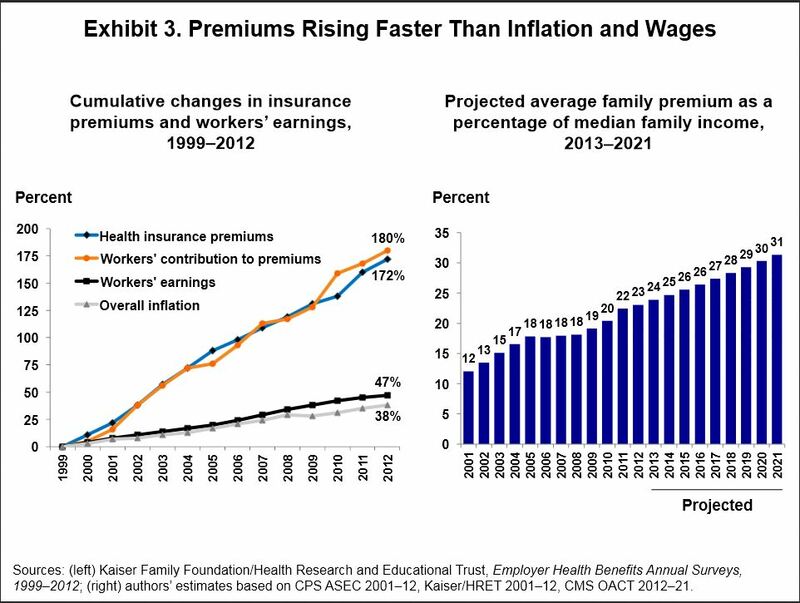 These graphs just look at insurance premiums. But they show a similar huge increase over time. This time the comparison is with wages and overall inflation. Health care is becoming unaffordable to individuals, families and employers. These graphs depict steep growth curves. This is where the phrase “bend the cost curve”, so often talked about in health policy circles comes from. The goal is not to see the curve start to drop, just to have it grow less quickly – well ahead of inflation or the overall growth of the economy. What is it about the U.S. health care system that has led to this type of out-of-control growth? Stay tuned for our next blog, which will start to dig into the reasons behind the curve. And plan to attend the October 28 forum. Click here to learn more and to register.